Seeing Clearly – How the higher law of attraction can change your life! Ronna Prince is an intuitive counselor, a HeartMath instructor, a Radical Forgiveness Coach and an aura-soma practitioner. Her passion is leading clients through deep and lasting transformations! If you can answer the following question with one word, from the deepest place of your soul, you will undoubtedly see your whole life in a different light. You will have clarity on how the higher aspect of the law of attraction works and you will also have the capacity to literally change your interactions with people and the world around you. So what is the question? More on that in a minute, but first, what is this higher aspect of the law of attraction I’m talking about? It’s not really the law of attraction, but a higher law in the 12 universal laws of creation. It’s called the Law of Reciprocity and it is one of the 3 highest universal laws, law #9. The law of attraction is actually law #7 and is based upon duality and cause and effect. The law of reciprocity is connected with confluence, a coming together of many possibilities that work in harmony with each other (vs. in opposition.) If you are in opposition, you often see only one choice or one outcome OR you are dismayed because you don’t want what you are getting! If you are interested in exploring more about this, I invite you to delve into my 4 part online class. Learning how to work consciously with the higher laws is very empowering. So what is the one question? The question is this: What are you seeking in this life? It can also be posed this way: What is your primary purpose in life? Or even more simply, What are you here to learn? And the key is that you must answer this question (in any of the forms above), with one word and one word only. As an intuitive spiritual counselor, I can share with you with that most people engage with me to explore and answer questions about career, relationships, finances, and healing from past difficulties and traumas. These are all valid topics. But resolving these issues and the questions associated with them (Who, what, when, why and how), would require more than one word and the answer would not illuminate your life in the way I describe in the first paragraph. I’ll share with you some of the most common one-word answers and then explore how answering this question will change your life. You can easily see from this list of possibilities that the other variations of this question, “What is your primary purpose in life? What are you here to learn?”, can be answered by the same word. And if you assess your life honestly, you will see that the one word applies to every issue in your life. So let’s explore one of these words and see how this process works. In my case, I know that I am here to learn about acceptance. When I deeply pondered this question with the purpose of boiling the answer down to one word, I realized that my whole life has been about accepting myself and accepting others. It’s not about “getting or being” accepted. It is simply to learn to accept what is, without needing to change things or people. The very thing that I have been seeking, I realized, has also been seeking me my whole life, in the experiences, people and lessons I’ve learned. So in my case, the acceptance I have been seeking, has also been seeking me. And the way “acceptance” has been seeking me is through life experiences and people that have both challenged and affirmed my willingness to accept what is, just as it is. Most of you are aware that I experienced prolonged and debasing abuse as a child. I disclosed this in my film, Sacred Journey of the Heart, and it took a lot of courage to do this. But courage has not been the primary theme of my life. I have had to be courageous in order to survive. But I have spent decades learning to accept myself and the situations in my life, as they are. But everything finally came into crystal clarity when I decided that it was time to just “be” with the depth of suffering I felt inside at not being able to change things that were happening. And to admit to myself how difficult acceptance has been for me. 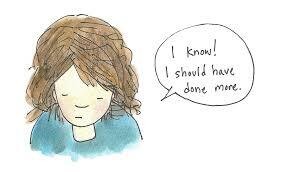 Even with all the tools and techniques I’ve learned over the years, when challenges would come up, my inner critic would take over and start berating and flagellating myself for not doing enough, for messing up or for being powerless to change things. I would try to figure out how to fix things or change myself so “bad” things wouldn’t happen again. Undoubtedly, you can see how my childhood abuse caused this type of critical self-analysis. But when I finally allowed myself to just sit with the rage, the grief, the frustration, the annoyance, and many other emotions that were living inside me (in the lower chakras, by the way where most of this “stuff” is stuffed), I felt a quiet transformation taking place. I wasn’t trying to change anything, feel better or say any affirmations. I just sat with the feelings. In fact, this was my first step to acceptance. I had a specific situation that was bringing me to this place, one that I had struggled with off and on most of my adult life. Without going into details, it has to do with a person close to me, that has periodically and unexpectedly cut me out of her and her family’s life off and on over the last 25 years. Each time she made forays to reconnect, I would say, “0k, let’s try this again”. I am a middle child, and an optimist when it comes to relationships. But inevitably, I would mess up according to her and she would send me a letter in the mail (with a couple of our childhood photos each time) and describe my latest transgression. I thought I had finally let go of the relationship and the whole constellation of feelings around the loss of this person in my life and in my kid’s lives. But then a different kind of letter came in the mail. It was an invitation to a very joyous occasion. Coming out of the blue like this after more than a year of no contact, it was a shock and a surprise. Why now? Why was I invited and no one else in my family was? Was I now suddenly accepted by her for some reason? And it brought back all the feelings of loss that I thought I had dealt with. The loss of connection, the loss of sharing our lives and our expanding families, the loss of sharing good memories of the past and more. Instead of jumping to reconnect this time, I let myself feel the anger, sadness and grief. And it hurt. It hurt to the core of my soul and deep into my gut. My heart felt like it was literally going to break. When I quit trying to let go of my feelings, and the situations that created them, I just breathed deep down into my lower chakras and accepted what was there. I wasn’t wallowing in these feelings, I was just accepting them by being present to them. And then I had the realization that all of my major life experiences have been about acceptance. When I let this sink in, my life’s lessons came into crystal clarity. I have been fervently seeking acceptance and acceptance had been seeking me. It had been seeking me in many forms. In the repeated rejections of a person I loved very deeply, my quest to learn about acceptance kept showing up. Could I learn to accept her rejections of me? Could I learn to accept that there was absolutely nothing I had done or said that was wrong? Could I learn to understand that the actual experience of being rejected was just the energy of acceptance itself, seeking me? On the surface, it may look like I was doing a dance with the Law of Attraction – the polarity based law that would say that I was attracting the opposite of acceptance by fearing rejection. And thereby getting rejected. This would be correct to a large extent for most of the years that I had spent in this dance of acceptance/rejection with this person, and with her calling the shots in our relationship. But the shift that finally happened by feeling my feelings, rather than letting them go, was that I entered into a different dance, a dance with the higher laws, the Law of Reciprocity and the Law of Confluence. When I saw the invitation in a different light, and allowed myself to be with my feelings about it, instead of needing to be the one who was wronged, everything shifted. I saw the experience of her rejections as the energy of acceptance seeking me. I was then able to go to the event and see new possibilities, and be open to a new way of relating to everyone involved. I didn’t “need” them to represent an oppositional force. I didn’t need to be accepted by the people involved. I didn’t need to pretend to be someone who I am not. And many new possibilities are emerging for myself and others around me. In accepting the invitation, I found acceptance itself. Instead of “letting go” of my feelings, and letting go of my lost relationship, true acceptance has been about letting it be. Not trying to change or fix the situation, not denying my feelings about it, but simply accepting what is, as is. As I reflect on my life’s challenges and successes, all of them have contained this essential lesson of acceptance. So what is your life’s primary lesson? 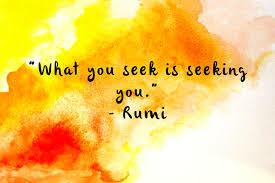 What is seeking you? If it is peace, are you willing to see that experiences of conflict are actually the energy of peace seeking you? If it is belonging, are you willing to see that the experience of loneliness is actually belonging seeking you? If it is abundance, are you willing to see that the experience of scarcity is actually abundance seeking you? Are you open to allowing the very thing that you are seeking, to find you in every single situation, and in so doing, experience the many possibilities the universe is sending your way to fulfill your life’s mission here? I am now ready to share with you the deepest meditation I have created, one that will bring the depth of your life’s purpose into crystal clarity, so that from this moment on, you may live life beyond attraction and in conscious confluence with your life’s mission. I invite you to join me on Thursday, June 1st at 5 pm Pacific time to experience it!